What came before luxury hotels, yachts, villas, and the Forbes rating? Towards the end of the Soviet Union, there were plenty of ways to line one’s pockets, but you needed to be inventive. These guys didn’t hang about in making a quick buck before the days of capitalism. Some of them never dreamt of millions, others only had money on their mind. Whatever the case, Russians who became millionare oligarchs almost overnight generally weren’t peddling oil and diamonds, far from it. They were pioneers. Artyom Tarasov, the first officially declared millionaire in the Soviet Union, passed away on July 23 at 67. The businessman said that he never imagined amassing such a fortune and was instead focused on science, but everything changed when the Mikhail Gorbachev era presented new opportunities. Tarasov said he would have been a fool not to have taken advantage of the situation, and like Tarasov, the following characters struck while the iron was hot - but in unexpected ways. It all began in the late 1980s, when ordinary Soviet citizens first received the right to have a bank account. But how did one make money? This particular business only lasted six days though. The authorities decided that a marriage bureau was too immoral an enterprise for the Soviet Union. So Tarasov put his thinking hat on and set up a repair shop for imported household appliances. There were virtually no such enterprises in the USSR due to the lack of original component imports. This is how the Tekhnika (Equipment) company arrived on the scene. The idea was to localize foreign software sales before peddling on to the government. There was already rudimentary software in the country but no hardware. “We started by buying dollars in cash from luxury prostitutes at three rubles per dollar.” An acquaintance traveling abroad would take the money, buy PCs with it and bring the equipment to Russia. “A computer would cost us 1,500 rubles [$2,586], and we would then sell it to a state-owned enterprise for 50,000 rubles [$86,206].” Now that’s a healthy markup. Before he started selling luxury coffins and what some believe to be Russia's most expensive bakery products at 1,650 rubles ($28) per loaf, Orthodox Christian entrepreneur German Sterligov made his first serious money organizing concerts in the waiting rooms of Moscow's railroad stations. Later that year these impromptu concerts were banned, and Sterligov switched to another activity. While watching an American movie, he got his first glimpse of the stock exchange, and was so inspired that soon after he rented a hall, installed large screens and computers, and set up Russia’s very own exchange, Alisa - easy as pie! The first day of operation generated no more than six million rubles ($10.3 million) for the owner. While still a school senior, Roman Abramovich bought and sold cigarettes, chocolate, jeans, and perfume at a significant profit. He decided against going to university because who needs a degree when you can sell? At 22, Abramovich established Uyut (Comfort), a company selling selling toys made of polymeric materials. A friend of his was involved in a similar business activity. Abramovich - who already had a wife and daughter at this point - started manufacturing the dolls in their apartment. Mikhail Khodorkovsky was an assiduous chemistry student who went on to head the Yukos oil company before being brought back down to earth with a bump as a disgraced tycoon. He started his career at the same time as Tarasov: In fact they registered their first companies on the same day. Khodorkovsky and his business partners set up a so-called center for scientific and technical creativity of the youth (abbreviated to NTTM in Russian), another type of commercial enterprise allowed back in those days. There were only 33 NTTMs across the Soviet Union in 1987. Like all companies, they had the ability to convert virtually worthless rubles bank accounts into cash. “In fact, the law on state-owned enterprises gave such an opportunity to anyone interested, but you had to do things rather than sitting on your hands,” Khodorkovsky later recalled. 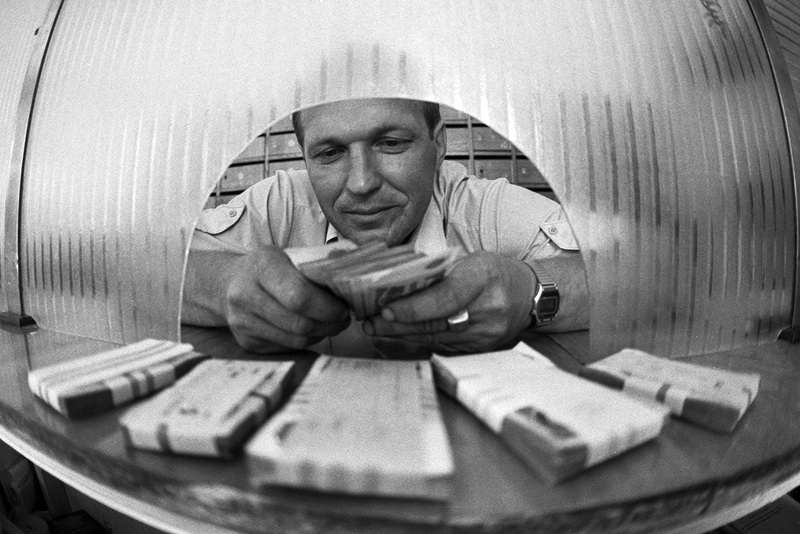 His NTTM became one of the first in the USSR to start offering money cashing services at a huge commission. Production factories, scientific centers, and design bureaus all rushed to use Khodorkovsky's company because the government contract system was beset by red tape. The enterprise earned around 80 million rubles ($137 million) in 1988 alone, and soon afterward established its own cooperative bank.